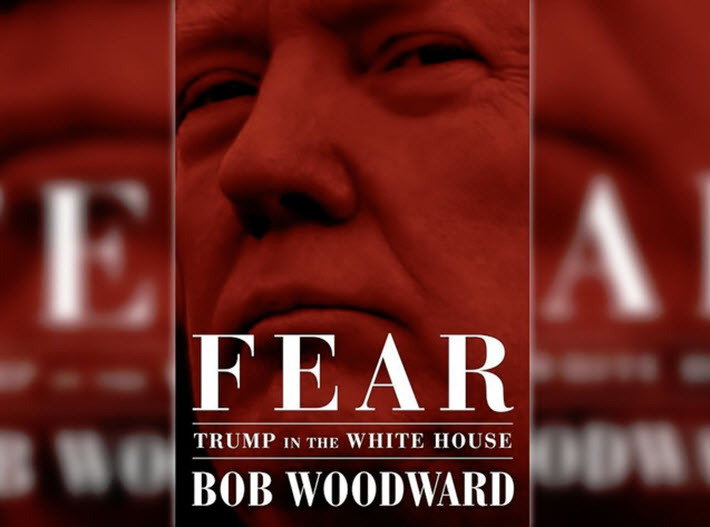 Amid a high-stakes media focus on the work of authors and publishers, Simon & Schuster releases Bob Woodward’s ‘Fear: Trump in the White House,’ a No. 1 bestseller in the US before it reaches the first customer. Bookseller-in-chief Donald Trump appears to be working his angry magic with Bob Woodward’s Fear: Trump in the White House, as Simon & Schuster releases the book today (September 11). Now one of the most eagerly awaited titles of the year, the book is in its seventh printing to handle pre-orders, according to reports from CNN’s Brian Stelter and Jamie Gangel Monday evening. Fear stands at No. 1 in Amazon print sales (updated hourly) and at No. 1 in Amazon Audible sales (also updated hourly) in its Simon & Schuster Audio release with narration by Robert Petkoff. And as Publishing Perspectives has reported, foreign rights sales of the book—which may have been somewhat limited by the strict protection of the book prior to its release—already have reached 11 territories, with many more anticipated in coming days. In another angle we’ve looked at, books related to Trump tend to “travel” well in international rights sales, although the American readership still seems far less amenable to reading nonfiction about other nations’ politics. As today’s book release has approached, new angles from the Woodward book have continued to tempt or torment readers—depending on their political stances. As Bob Bryan and Allan Smith of Business Insider write, “According to Bob Woodward’s new book, Fear: Trump in the White House, GOP leaders Paul Ryan and Mitch McConnell contacted some of the departing CEOs” who resigned from the administration’s manufacturing and business councils “and ‘privately praised them for standing up'” to Trump. Both House Speaker Ryan and Senate Majority Leader McConnell declined comment on the book last week. These and other anecdotes have been revealed in the last hours as Trump has pressed his demands to know the identity of the author of the op-ed published on Wednesday (September 6) by The New York Times. The opinion piece has become a de facto thesis statement for the Woodward book’s depiction of a White House struggle between Trump, his advisors, and a manic presidency’s instability. Simon & Schuster has had Woodward on a measured, steady round of media appearances this week, including interviews on CBS’ Sunday Morning, NBC’s Today, and, overnight, CBS’ The Late Show with Stephen Colbert. What distinguishes Fear, of course, is its iconic author. The man Trump now has called an “idiot” and the author of “pure fiction” is a two-time Pulitzer Prize winner, the author of 18 books prior to this one, and perhaps best know his work with Carl Bernstein in The Washington Post’s reporting on the Nixon Watergate scandal, journalism that helped to bring down that presidency. As opposed to the run-up of coverage for the Michael Wolff book, Fire and Fury, in January and the Omarosa Manigault Newman book, Unhinged, last month, there have been no reports of editing lapses or flatly incorrect references in the Woodward book by those who have seen copies of it in advance, except from White House operatives such as the press secretary Sarah Huckabee Sanders. The book’s release, of course, coincides with observances of the 17th anniversary of the attacks of September 11, 2001. The devastating impact of those events and the display this week of paranoia among White House Cabinet and other administration figures who have rushed to deny they were the writers of the Times‘ op-ed add up to a new, gathering tone of sobering inquiry into Trump’s fitness for office around the Woodward book’s arrival. In his own appearances, the author makes it clear that the zany energy of the Wolff book and the kiss-and-tell hijinks of the Manigault Newman book are not the issue this time. There also has been no known effort as yet by Trump attorneys to threaten litigation against the publisher for this book, as was the case for the Wolff and Manigault Newman books. We’ll have more coverage of the many attendant releases on Trump-related issues in the publishing pipeline for the autumn season. But as we watch now for news of how sales on the street and reactions to the Bob Woodward book play out, one of the chief factors of the news cycle for publishing industry observers is that books are very much a player in this political dynamic. 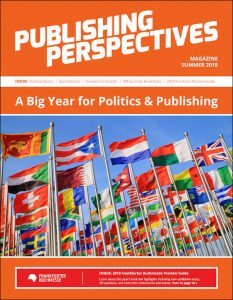 A major nation, struggling to define and address the character and consequences of its leadership decisions in 2016, is turning to the book industry for deep background and considered analysis, generating a high-stakes media focus on the work of authors and publishers in a dangerous crisis of national governance and international relations. 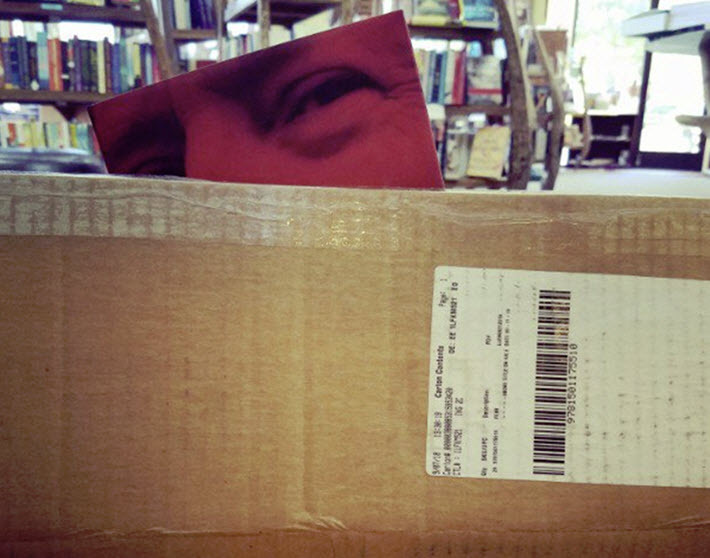 More from Publishing Perspectives on political books is here, and more on specifically Donald Trump-related books can be found here.